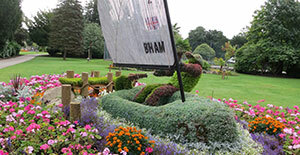 There are number of exciting things to do and enjoy for free in Edgbaston. Ranging from looking at works of art or geological artefacts, seeing an exhibition or performance, walking or cycling around parklands or the urban area, to using the picnic areas in the parks. You can enjoy a picnic, or walk or cycle around beautiful Cannon Hill Park taking in the range of trees and plants on offer, or go and feed the ducks on the pond, and for those with younger children there is a great play area. In addition, you can have a wonder around The Village, Edgbaston and Calthorpe Estates, taking in the array of period buildings and leisure destinations on offer. At the mac birmingham you can enjoy a wide range of free art exhibitions, a number of music, dance, spoken word and comedy events as well as a selection of talks. Or you can visit one of their many regular markets. The Barber Institute of Fine Arts is home to a small yet stunning collection of works from great artists including Monet, Rubans, Degas, Manet, Turner, Gainsborough, Van Gogh and Gauguin, as well as sculptures and coins. It also holds more traditional and classical music concerts, which are free to attend.